A large number of SMEs with considerable operations in foreign currencies fail to protect themselves against FX risk. These companies, many of which record revenues of around USD 200 million per year, simply don’t approach FX management because they don’t have a specialist in-house FX risk manager. Instead, they expose themselves to the whims of the currency market. As we have witnessed in 2018 – in particular with the Turkish lira crisis and its knock-on negative effect on emerging markets – foreign exchange volatility left unchecked can create cash flow problems and cause a considerable dent in profit margins. However, there are three steps you can take to build an effective corporate FX plan that protects your organisation from market risk and generates value-added results. A strong FX strategy requires a watertight foundation based on astute, comprehensive planning and budgeting. Planning your overall FX strategy is not a task to be taken lightly. It necessitates a thorough analysis of the areas of business that are exposed to the currency market, the level to which your organisation can absorb FX losses, the tools and hedging product options in your arsenal, and your budgeting forecast for the year ahead. Unfortunately, many companies budget with overly optimistic forecasts in mind. Forecasting is a difficult task for any treasurer or CFO, but including lofty sales and revenue goals in a budgeting plan makes it more difficult than it has to be. Better to forecast conservatively, especially if you have to include accounts receivable and payable in foreign currencies, even more so if you’re working with emerging markets. It’s also advisable to budget based on your minimum acceptable exchange rates. Your hedging strategy can help ensure you achieve at least these rates on your inter-currency transactions. 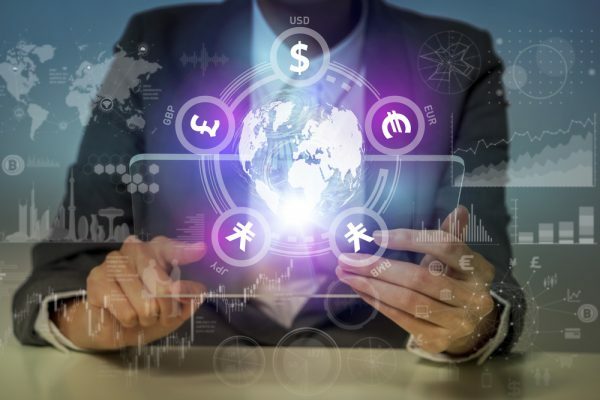 Sharper forecasting leads to a more realistic view and better positions your treasury or finance department for when exchange rate volatility strikes. What is our total volume in FX exposure? What are our exposures for each individual currency we operate in? What business areas are especially exposed to FX risk? Ascertaining these three points helps you better understand your risk and creates the base from which to develop a risk-protection process. Your treasury or finance department can measure your risk by compiling your historical transactional data in foreign currencies. You can also use real historical FX market data as a comparison tool to assess volatility and assess the impact locking in an exchange rate for a set period of time will have on your cash flow. It’s never a good idea to take on the FX market. At best, it amounts to gambling with your organisation’s finances; at worst, high-risk negligence. Through establishing your organisation’s risk tolerance – the degree to which you can absorb FX losses – and accurate, realistic budgeting, you will have a much clearer idea of the percentage of your exposure that you want to hedge. After all, hedging all of your exposure, all of the time, amounts to not hedging at all. Your next step is to determine which of your FX products you should use to hedge your risk. A mixture of spot trades and forward contracts offers a simple yet effective foundational point to optimise your transactional position and lock in exchange rates for a given period of time. Currency markets have seen numerous crises over the last five years, including sizable exchange rate movements for the Swiss franc, Russian rouble, British pound, Argentinian peso and Turkish lira. Due to other concerning, sudden macroeconomic developments such as the ongoing trade war between the US and China, companies with a global outlook must enact and maintain a stringent FX risk strategy. Investing the time and resources in following this three-step plan, while leveraging data-rich tools and FX products to power your strategy, will reap dividends by protecting your profit margins and helping maintain a healthy cash flow. An industry veteran with more than 25 years of experience in the financial services sector, Kazuaki Takabatake is OANDA’s Managing Director and Chief Executive Officer for Asia Pacific, responsible for driving the firm’s continued growth across the region. An industry veteran with more than 25 years of experience in the financial services sector, Kazuaki Takabatake is OANDA’s Managing Director and Chief Executive Officer for Asia Pacific, responsible for driving the firm’s continued growth across the region.He joined OANDA from Saxo Capital Markets. Kazuaki also has a rich FinTech pedigree, having previously worked at Allocated Bullion Solutions and Patsystems. He holds a Bachelor of Engineering (Hons) in Aeronautical and Astronautical Engineering from the University of Southampton.